Hombuilt.com was found to cater all the construction based that we deal in everyday life. Whether it is needed for maintenance of our premises or to decorate it, you can get everything on this portal. A network-based portal for all the technicians and servicemen who are engaged in maintenance services get a livelihood from their platform. People can now request servicemen through online booking on Web/App and the servicemen nearby to their location will be at their doorstep without any problem. Everything is transparent and secure. No distribution of leads or irritation through no calls answering, just book and wait for the servicemen to respond. Decor section is handled by an In-house team of Professional working in the field of Architecture, Interior, Vastu consultancy & Engineers. Also considering the sustainable resources in mind for future, they are having a new section of Solar plating that can help in preserving our resources for future generation. For more download our app or visit our website. What Problem does hombuilt Solve? As there is an increase in global population, needs are also growing and people are preferring technology to meet all their needs without disturbing their lifestyle. It is hard to find Serviceman in our areas, and if we get one there are many questions on their part like how good are they, trustworthy or not, security concerns and many more. And same is with the Serviceman sometimes like will I get my pay on time? are they going to deduct something? They have created a platform with all the transparency on client & servicemen behalf so that both the parties are fully satisfied. It is an initiative to give servicemen their livelihood and some respect for their work that they don’t get in present stages even if in metropolitan cities. Serviceman are like doctors who find a problem and cure them let it be Electrical. Plumbing or any Carpenter fixing work. They believe that their project will help them in getting good height in society and changes the mindset of people like us. Hombuilt.com was started with one Founder and One Co-Founder initially. 24 yr old from Delhi started with the concept of socializing modern society. 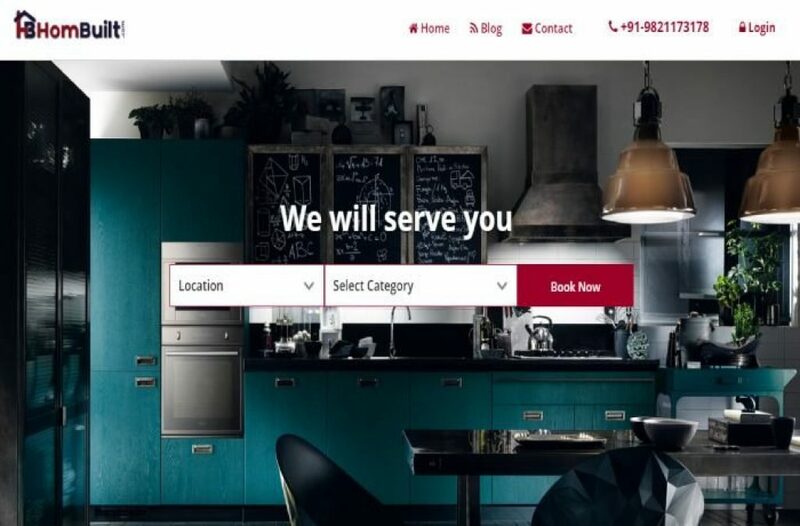 Having worked for 3 years in the field of Marketing with different IT startup/Company, he got this idea to start a construction based portal for all the Maintenance & Decor needs. It took him 10 Months of research and analysis to proceed with Hombuilt. 25 Yr old took the initiative to handle all the creative and designing part of practicing architecture for 2 years with the reputed firm. All the Decor part is handled by her. With her unique and modern ideas, she is changing the view of modern architecture.